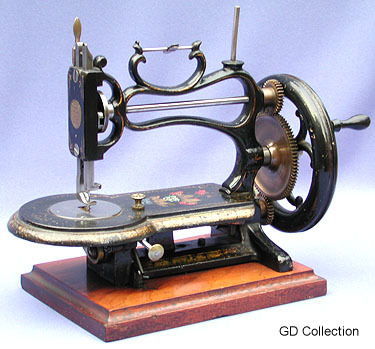 antique sewing machine - Judkins Empress. The "Empress" chain stitch was licensed by C.T. Judkins, and at this time, it is not clear who marketed the machine. The design incorporates a standard four motion underfeed.